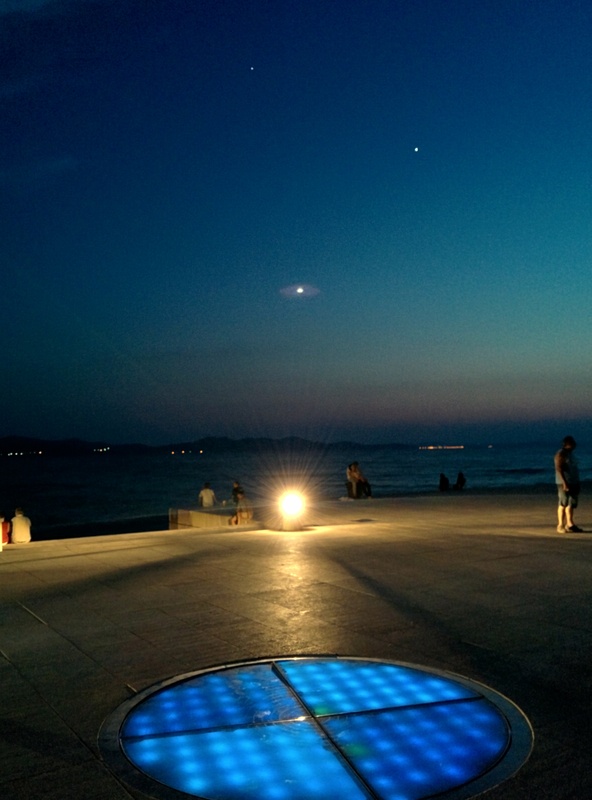 I visited Croatia this summer and (in what has become a bit of a tradition) checked out a couple of solar system models. We also went to Montenegro which doesn’t seem to have a model. Kotor, Montenegro does have a strange museum dedicated to cats which is worth checking out. It’s good to know that people have been fascinated by cats long before the advent of the web. I’ll write that up soon. 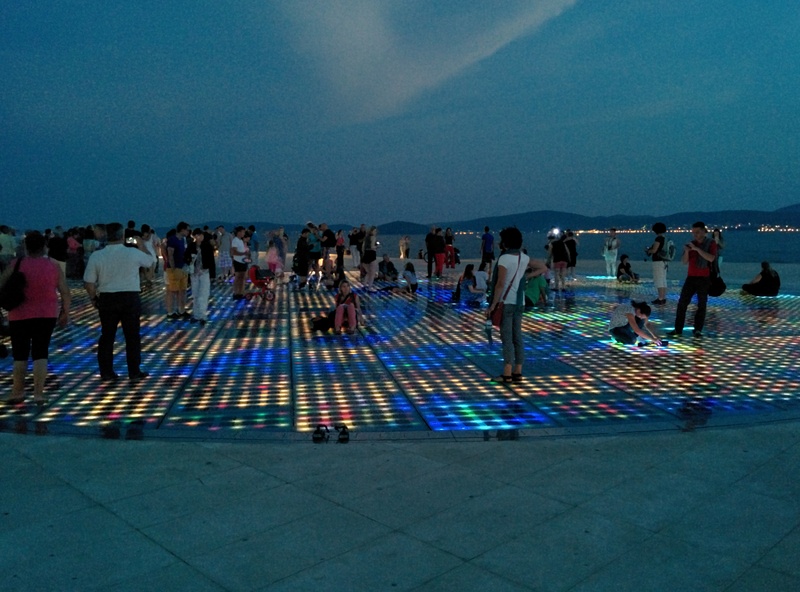 The Sea Organ is an art installation on the seafront in Zadar. 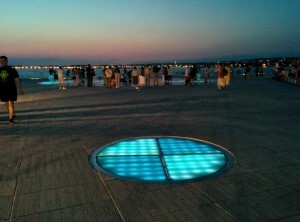 There is a musical organ powered by the waves but there is also a solar powered model of the Sun and planets. It charges up during the day and at night lights up with animated patterns of LEDs in the floor. It looks amazing. This is a view from Jupiter looking towards the inner planets and the Sun. Here is a closer view of the surface of the Sun. Another view of Jupiter with the real Jupiter and Venus clearly visible in the sky. The lower object is just lens flare from the light. We also checked out a more traditional model in the capital, Zagreb. The Sun is a large sphere in the middle of a pedestrian street. I didn’t take pictures but there are some here. 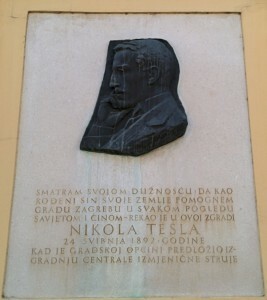 I did get a picture of a monument to Nikola Tesla who was born in what is now Croatia. It’s near the Museum of Broken Relationships which is also worth a visit. Zagreb is a great city and well worth a visit. It’s different to the coastal cities which are all pretty similar. 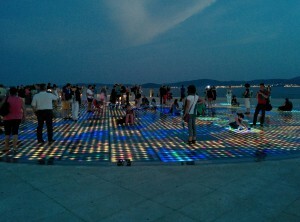 Croatia is a great country to visit. It’s easy to get around by bus and ferry. Montenegro is also beautiful but harder to get by on just public transport.